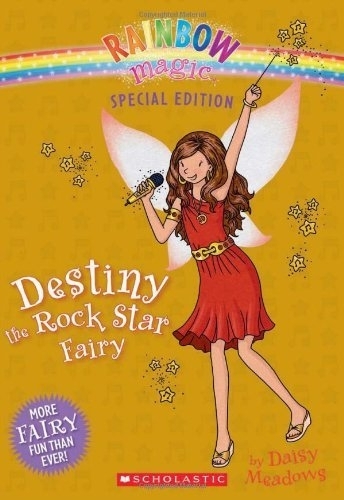 A brand-new, sparkly special edition -- with a holiday concert in the spotlight!Destiny the Rock Star Fairy has a very important job. She helps rock stars everywhere shine! But when her magic is stolen, everything starts to go wrong. Even Rachel and Kirsty's favorite music group, The Angels, is in trouble! Everything at their special holiday concert is all mixed up.Can the girls team up with Destiny to find her magic in time? Or will The Angels' holiday concert be a merry mess?Find the magic items in all three stories inside this Rainbow Magic Special Edition and help save the holiday concert!